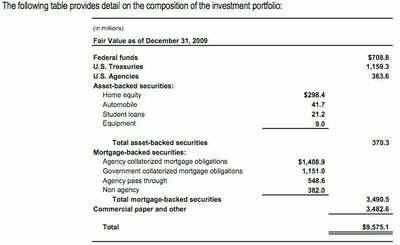 The Farm Credit System came through the financial crisis of 2008 relatively strong. The Farm Credit System, a federally chartered network of banks and cooperatives that lend money to farms and rural homeowners, was said to have done better than the Wall Street firms because of its allegedly conservative strategy. But a recent article in trade newsletter Asset Backed Alert says AgriBank, the largest of the banks that make up the US Farm Credit System, is piling on losses from mortgage bonds. 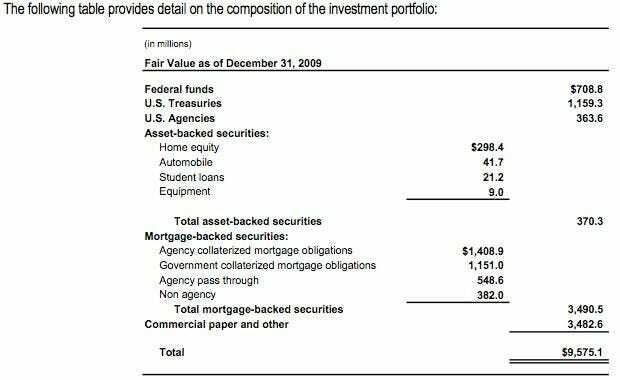 AgriBank held onto its mortgage bond portfolio through the nightmare years of 2007 and 2008, refusing to sell into the losses. It kept virtually all of its holdings, hoping for a rebound in the market. That didn’t work as planned. Last year, AgriBank took a mark to market loss of $221.6 million on its mortgage portfolio. 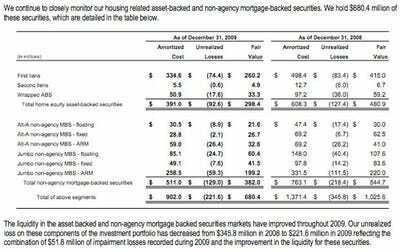 Declining collateral performance–which is banker speak for the houses foreclosed upon being worth less than expected–resulted in a permanent loss of $51.8 million. This was larger than the losses AgriBank booked in 2007 and 2008. In short, things appear to be further deteriorating for the bank’s mortgage portfolio. AgriBank isn’t taking the losses because it went crazy for risk. Quite the opposite. The overwhelming majority of its bond holdings were triple-A rated products. 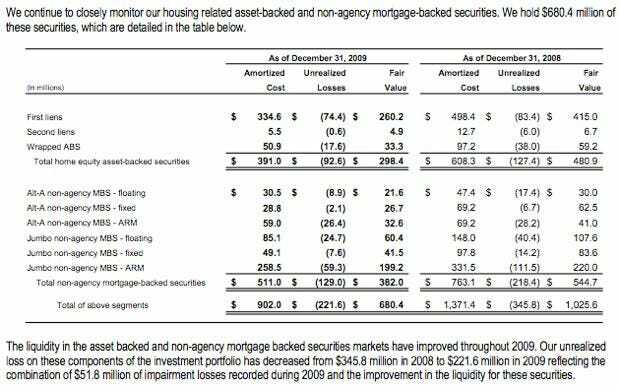 But as you can see below, they went heavily for highly rated, non-agency Jumbo mortgage backed securities. Huge portions of its portfolio were subsequently downgraded. The extent of the downgrades was so exreme it had to seek a waiver from its chief regulators. Despite the losses, AgriBusiness says it maintains 123 days liquidity, two days short of its target of 125 days.